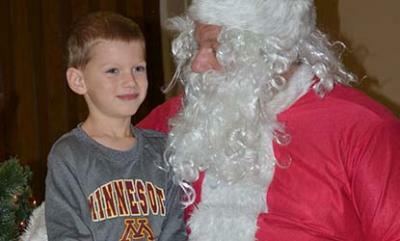 Santa Claus was a guest of the Brownton Lions Club Saturday morning. Dalen Loncorich, son of Dean and Steph Loncorich of Stewart, was one of many children who visited with the Jolly Old Elf. Children also were able to participate in Christmas crafts.